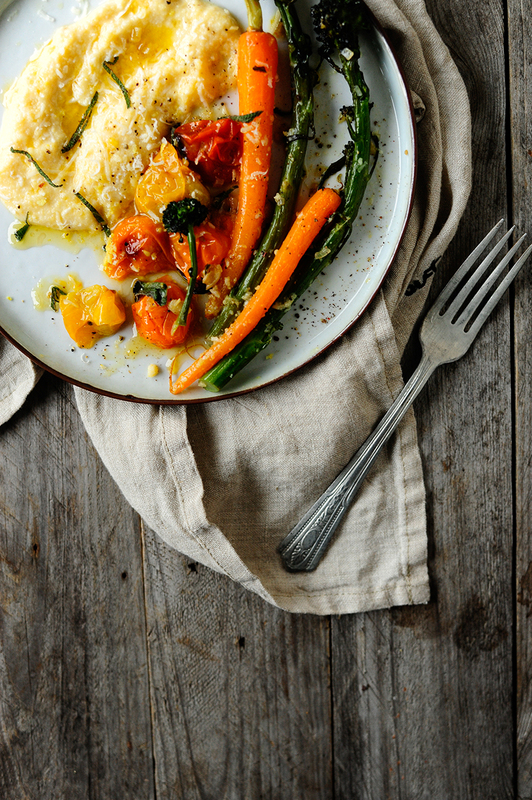 Roasted veggies on a creamy polenta with parmesan. Served with an incredibly flavorful garlicky sauce with sage and lemon – and you need to know this: certainly don’t skip the lemon, it adds tons of flavor to the whole dish! Place the broccolini, carrots and tomatoes on a baking sheet. Drizzle with olive oil and sprinkle with salt and pepper. Roast for 15-20 minutes at 230°C or until golden brown. In a small skillet, heat the butter and oil over medium heat. Once the butter has melted, reduce heat to low, add the shallot and garlic and sauté until soft. Add the lemon zest, sage and lemon juice. Continue to reduce the sauce for an additional minute. Season with salt and pepper. Bring the broth and milk to a boil and add the polenta. Simmer for 10-15 minutes or until polenta has thickened. Add the olive oil and Parmesan cheese, stir until smooth and season with salt and pepper. 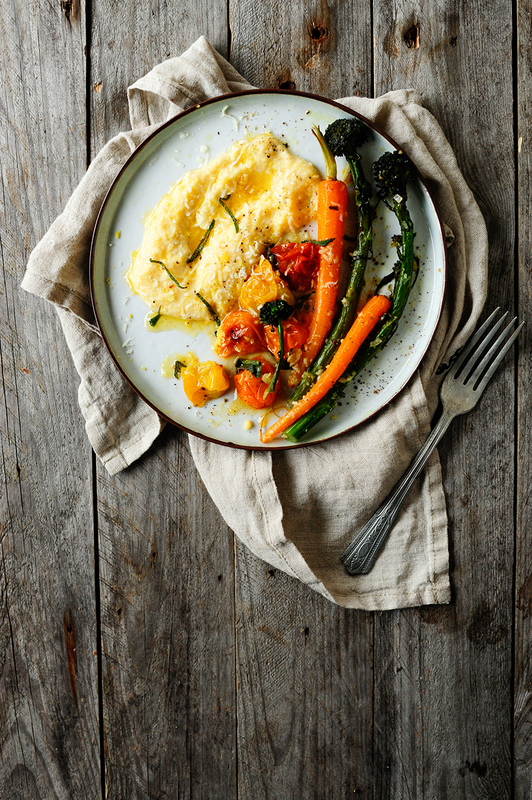 Serve the polenta immediately with the roasted vegetables and garnish with the sage-garlic sauce. Enjoy!